NEW BUFFALO, MICH. — The Pokagon Band of Potawatomi Indians’ Four Winds Casinos are pleased to announce a concert by Air Supply at Four Winds New Buffalo’s Silver Creek Event Center at 9 p.m. Saturday, Oct. 8. Hotel and dinner packages are available for the night of the concert. Tickets can be purchased beginning at 11 a.m. Friday, April 1, exclusively through Ticketmaster, or by calling (800) 745-3000. Ticket prices for the concert start at $30, plus applicable fees. 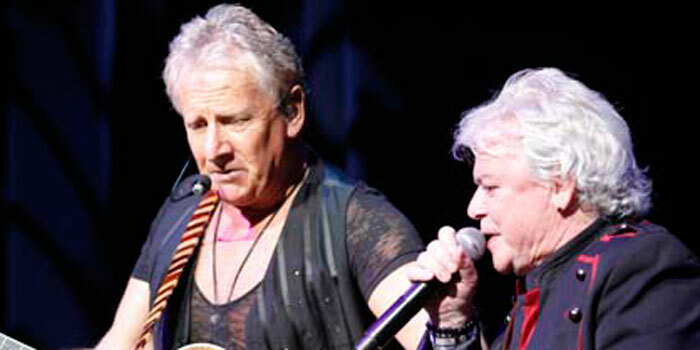 More information about Air Supply is available at www.airsupplymusic.com. Hotel and dinner packages include the Hard Rock and Copper Rock options. The Hard Rock option is available for $379 and includes two concert tickets, a one night hotel stay on Saturday, Oct. 8, and a $50 gift card to Hard Rock Cafe Four Winds. The Copper Rock option is available for $479 and includes two concert tickets, a one night hotel stay on Saturday, Oct. 8, and a $150 gift card to Copper Rock Steakhouse. All hotel and dinner packages must be purchased through Ticketmaster.